Robert Scoble’s post today got me thinking about the way some writers have bashed blogs for fun and profit. Let’s take a look back at some blog bashing classics. These writers bashed bloggers so we’d write about what pricks they were and drive traffic to their blogs. I fell for a few of them. Dave Bullard bashed bloggers in his South African Sunday Times column last year, as “people who wouldn’t stand a hope in hell of getting a job in journalism.” The link baiting little jerk then started a blog. Natch. Then that fatuous (his favorite word) grump, Joseph Rago, at the Wall St Journal, in a pompous editorial, called us an unjournalistic mob. Blogs are “written by fools to be read by imbeciles,” he sniffed. I hope Rupert Murdoch makes him blog his editorials. Then there’s Bob Bly, who wrote a couple of columns in DM News about how you are wasting your time blogging unless you can prove that you made at least $400K, or one percent of $40 million through your blog. I don’t, but then again, neither does he. Not only did he start a blog, he wrote a book about how to blog. Didn’t sell a million copies. UPDATE: Oops! I forgot one big bad wolf. Cam Beck pointed out that I’d missed Andrew Keen. Keen says the danger of the Internet is that “anyone with an opinion, however ill-informed, can publish a blog, post a video on YouTube, or change an entry on Wikipedia.” Before, they could only publish books and magazine articles, and write for newspapers. And, of course, Keen blogs. – Hugh Macleod, Blogging is Dead? According to Whom? – Unplug Your Kids, Why Am I Doing This? I can tell you after meeting Daniel Lyons at a Social Media Club event in Boston that he does not feel the same way about blogging. He has been living down that story for what, 2 years now? He has definitely moved on. Very interesting! Love how you pointed out the hypocrisy. Thanks much. Anyway, your post brought back memories of blogging’s good old days. Ha. I’ve had a couple of different blogs, and let me tell ya, it’s easy to start one, but it’s not so easy to keep one going. For one thing, you have to keep coming up with good content without cannibalizing your old content. And then you have to promote, promote, promote your blog without becoming a blog-flogger. Instead of blog-bashing articles, or “blogging is the greatest thing since the invention of the printing press” articles, I’d like to see some reality-based articles. This blogging stuff isn’t as easy as it looks. 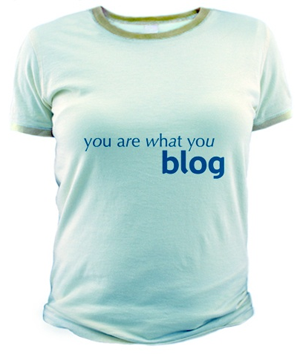 Don’t we all know by now it’s only ok to blog if you’re the one blogging!